This was one of seven of my Folk Week outfits. I am in love with this dress. It can easily be dressed up or down. 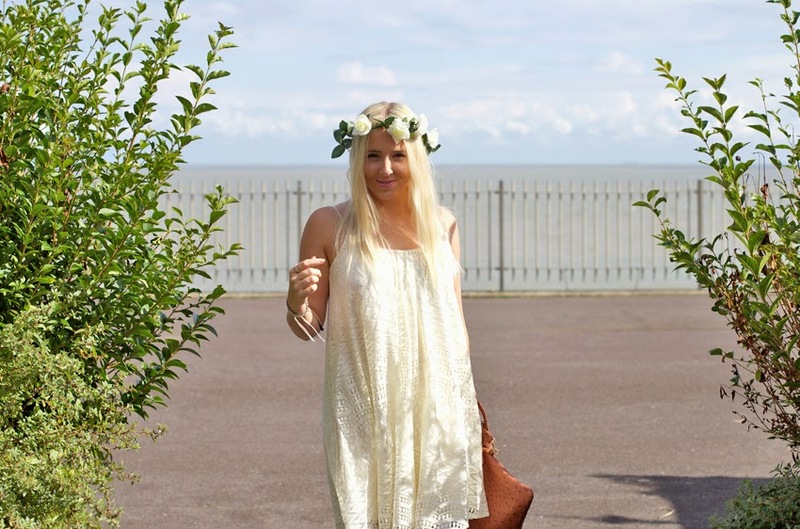 As you see on the ASOS site they put barely there sandals with the dress and here I have worn Converse for a more festival and laid back look. Day to night, easily! The straps are thin and very feminine, the scoop doesn’t show your cleavage and the length is just right to bounce around like a fairy. It is lined very well and the cut out detailing on the dress is a perfect finish. This Primark Bag has got a lot of use this Summer. 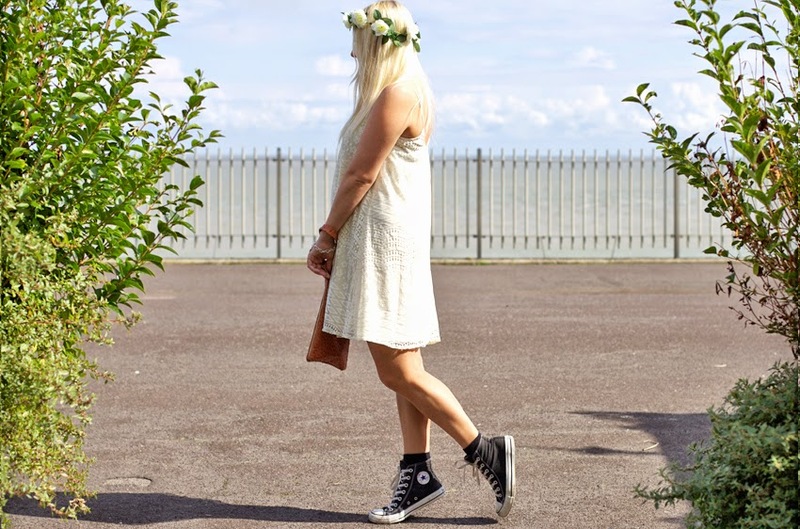 Super pretty, Love how you have teamed the dress with converse, it adds a really nice grunge twist!